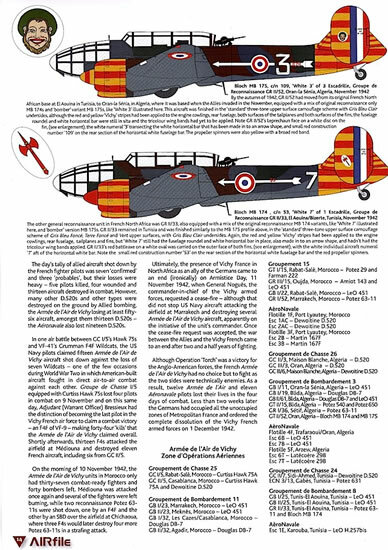 Well written; clearly illustrated; interesting choice of aircraft subjects, with plenty of information provided for those wanting to conduct further research. This time last year I broke my left arm, and to my intense frustration couldn't do any modeling for six weeks. I did however have plenty of time for reading, and one of the books I enjoyed most was AIRfile's "Pearl Harbor to Coral Sea: The start of the Pacific War" – not least because it gave me plenty of ideas for future projects, even if I couldn't start them at the time. 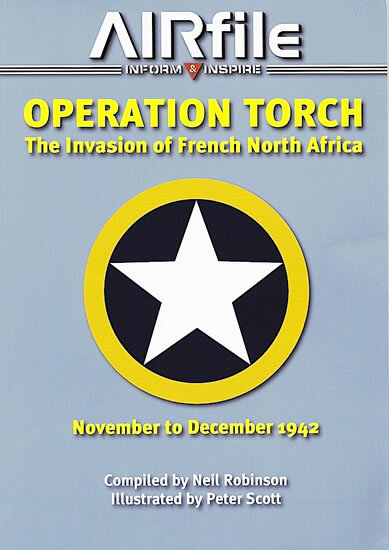 AIRfile's latest publication, "Operation Torch: The invasion of French North Africa, November to December 1942", is similarly satisfying. Compiled by experienced aviation and scale modeling writer Neil Robinson, the book begins with a brief (two page) strategic overview, which outlines the rationale behind Operation Torch before describing the operation and its aftermath. This section is accompanied by a useful map of the western Mediterranean and surrounding countries, with key locations clearly marked. With the scene set, the remainder of the book is divided into sections that focus in detail on aircraft of participating countries and services. The figures in brackets are the number of specific aircraft featured in each section. As with the introduction, each section begins with a summary of the particular air force or service's involvement in Operation Torch. 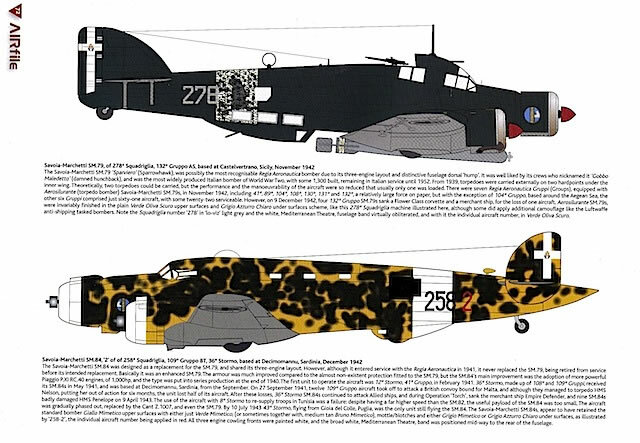 This includes the units and aircraft types involved, actions fought, losses sustained and general camouflage and marking schemes. These schemes are then explored in more detail on an aircraft-by-aircraft basis. Over 150 individual aircraft, and nearly 50 different types, are covered – and it's not a case of once over lightly. As a minimum, a port or starboard profile is provided of each aircraft, but a number are also covered in four-view drawings. 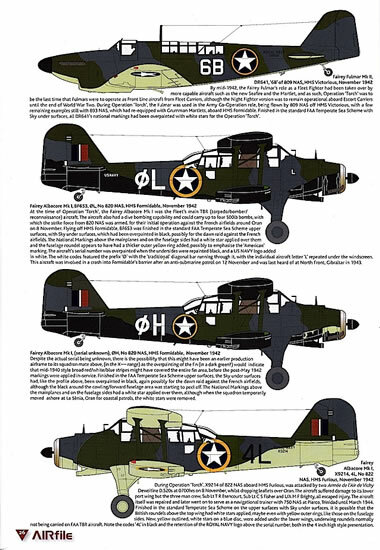 Each illustration is accompanied by a paragraph of text that provides (to the extent this is possible) details of the aircraft's type, identity, pilot and unit to which it was attached. Any known camouflage, marking or other anomalies are also pointed out. I really appreciate this amount of information, because it is invaluable in tracking down further details and photographs of the aircraft concerned. 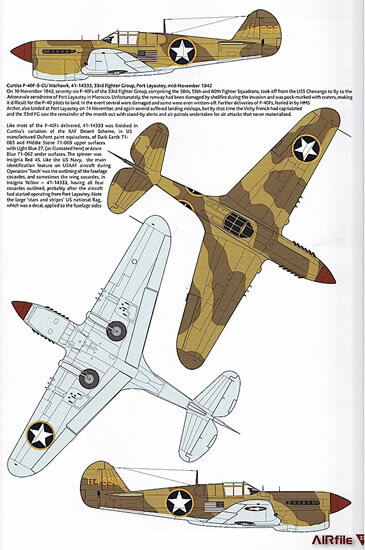 AIRfile Publication's self-declared intention is to provide "a range of illustrated camouflage and marking guides, full of well-researched, clear and unambiguous full colour illustrations, with detailed informative captions...culled from a variety of areas....Each AIRfile aims to show the chronology and development of the schemes and markings of the aircraft in question...."
In my view this book meets all of these criteria. 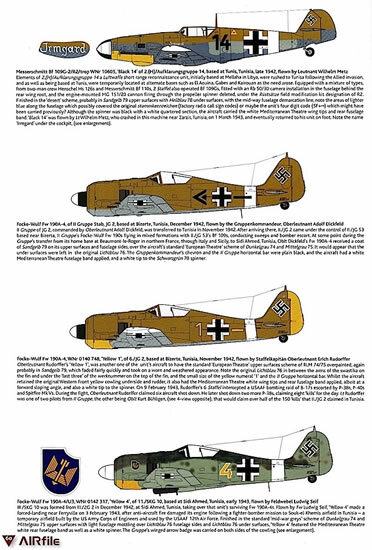 I can't open it without finding at least one new aircraft I want to model – my current favorites are Anton Hafner's Bf 109 G-2 'Yellow 5' and TBF-1 '8' of VGS-29, USS Santee, but I know there will be others. Highly recommended, and I’m looking forward to seeing what subject AIRfile Publications tackles in its next book. Thanks to AIRfile Publications for the review sample. Thanks to Airfile Publications for the sample.